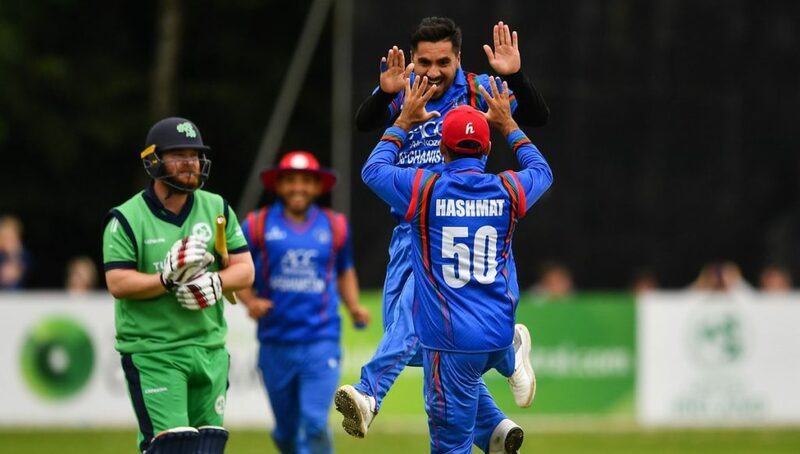 Afghanistan fought back brilliantly to beat Ireland to take the ODI series 2-1 in Belfast. It was a simple victory for Afghanistan, who after bowling out Ireland for 124, chased down the target with just over 26 overs remaining. The Afghanistan bowlers set up the victory, led by teenage superstar Rashid Khan who took 3-18. His fellow bowlers were just as effective with Aftab Alam (2-22), Mohammed Nabi (2-26) and Asghar Afghan (1-1) all taking wickets. With a target of 125, Afghanistan cruised to victory. Despite losing two wickets for 53 runs, 20-year-old Ihsanullah and Hashmatullah Shahidi strung together 74 runs to claim a sight-wicket win. Ihsanullah was his side’s top scorer with 57 off 62 balls, while his partner contributed a cameo 44-ball 34 to see his side over the line.